THE Cornish military charity Surf Action is appearing on the live BBC National Lottery Show this Saturday. Earlier this year, Surf Action was successful in winning an award from The Big Lottery Fund under the “Reaching Communities” scheme. 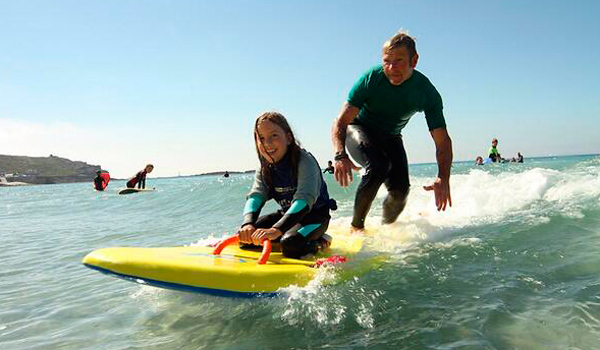 The funding helps the charity to deliver a variety of projects including surfing days, family days and employment training to support veterans with psychological and traumatic physical injuries, and their families. Surf Action Managing Director Fay Dutfield-Horton explained: “We pride ourselves on the fact we are ‘veterans supporting veterans’ and this appearance could not have come at a better time; both in terms of creating awareness of the issues faced by many ex-Servicemen and women, but also the fact that support offered by Surf Action is in growing demand.